إذا كنت تبحث عن فندق بموقع جيد في جولد كوست، فقد وجدت ضالتك في Breakers North Beachfront Holiday Apartments . لا يبعد الفندق كثيراً عن مركز المدينة، فهو يقع على بعد 2.1 km منها. في حين يستغرق الطريق منها إلى المطار حوالي 32 دقيقة. بالنسبة لمن يريد الخروج، هذه بعض المعالم السياحية المتوفرة للزوار Royal Queensland Art Society, كاسكيد, Brad Holmes Surf Coaching. يعمل Breakers North Beachfront Holiday Apartments على ضمان إقامة مريحة لضيوفه من خلال خدماته الممتازة وحسن ضيافته. لضمان راحة ضيوفه، يقدم الفندق الخدمات التالية: أمن على مدار 24 ساعة, توصيل من البقالية, خدمات بريدية, خدمة سيارات الأجرة, خدمة حجز التذاكر . يمكن للنزلاء الاختيار من ضمن مجموعة من الغرف المصممة بعناية لتعكس جواً من الراحة، والتي يتجاوز عددها 109. يمكنك طلب اللائحة الكاملة للخدمات في الفندق ومن بينها حوض استحمام ساخن, شاطئ خاص, ساونا, مسار جولف - ضمن 3 كم, حمام سباحة خارجي. 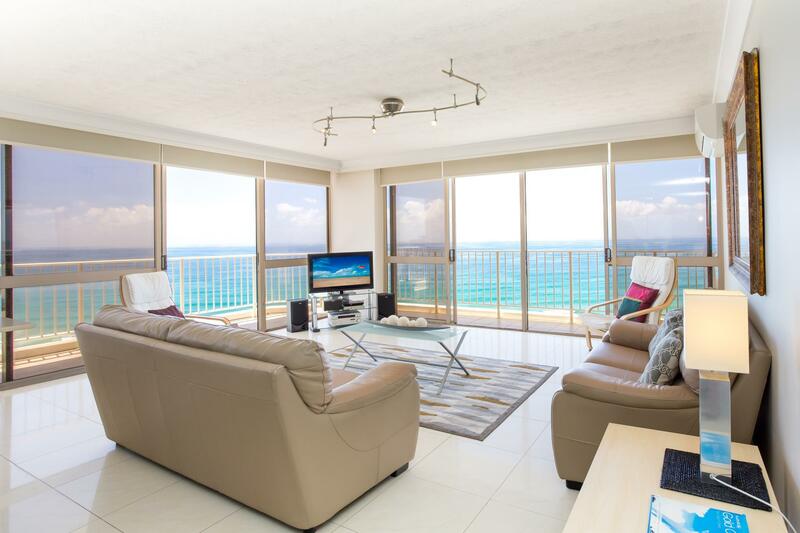 استمتع بخدمات لا يعلى عليها وعنوان ذو اعتبار في Breakers North Beachfront Holiday Apartments . يحتفظ مكان الإقامة بالحق في التحقق من عدم وجود طلاب المدارس أو حفلات عزوبية للرجال أو النساء في الغرف. يتبع هذا العقار سياسة صارمة بحظر إقامة الحفلات. يُرجى الاتصال بالعقار لمعرفة مزيد من التفاصيل. ستترتب على الأطفال ما دون عمر 6 سنوات تكلفة بقيمة JPY 540 لكل طفل لليلة الواحدة عند استخدام الأسرّة الحالية. يعتبر الأطفال بعمر 6 سنوات فما فوق بالغين. ستُحصّل الرسوم الإضافية المذكورة في العقار. It was our 1st trip to the Gold Coast and Surfers Paradise was the obvious choice of base being 1st timers to the Coast. 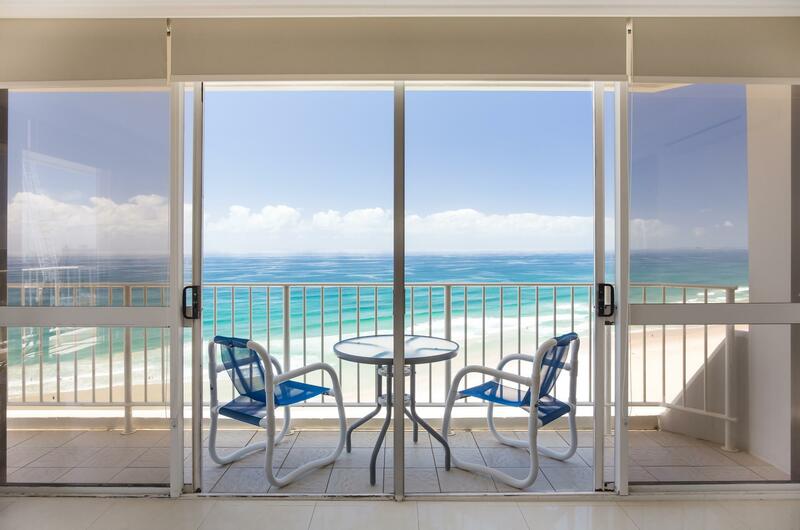 We chose Breakers North from the many reviews on Agoda, and it was probably one the best choice we've made. When it said "absolute beachfront" on the room category, it was THE absolute seafront corner balcony for you to enjoy sweeping views of the Pacific Ocean, can't get anymore beach front then that. Late check/in was catered to with ease of access. Next morning check/in at reception was fast and efficient. Underground parking was a definite plus with direct lift access to our floor. The apartment we were in was HUGE for a 2 bedroom 2 bathroom apartment.. A bright and sunny unit, kitchen was equipped to the max, no need to bring anything except for your groceries. The apartments Furnitures, Fixtures and Equipement were slightly dated but all in still in good pristine condition. Apartment was equipped with washer and dryer therefore no reason to bw running out of clothes for those long stays. Our stay was for 7 days, and we loved every moment of our time in the apartment. We'll surely be back. 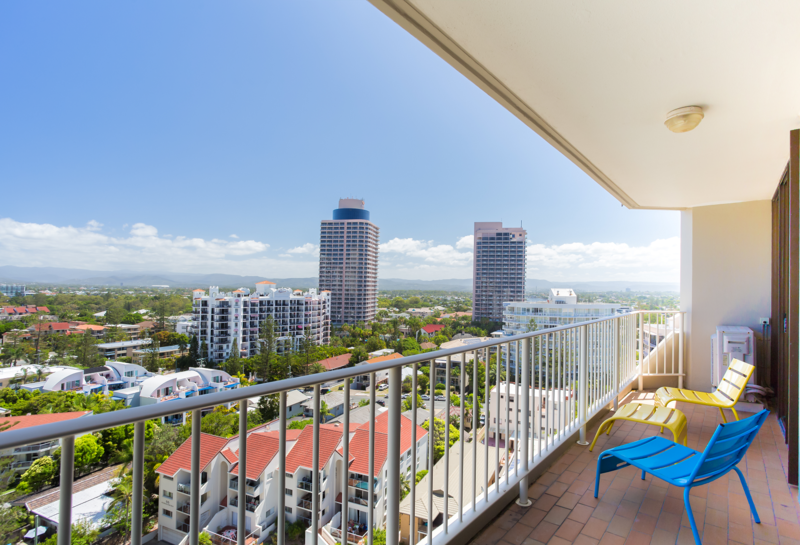 Located exactly on the beachfront accords great views and sea-breeze. Staff were friendly and helpful and not to mention extremely gracious. However, we were expected to return the apartment in a very neat condition as was given to us. Housekeeping is time-consuming and you don't wanna waste precious time cleaning the apartment when you're on holiday. Light cleaning is a fair request but intensive cleaning should be re-assessed for practicability. We had a nice 2 bedroom apartment which we got at a very good rate. The apartment was very spacious, clean and comfy. There is a bus at door. Our balcony had a nice view of the ocean even though it was on the side. It faced the buildings being built next door,(Jewel) which we new about. There was very little noise and even less if you closed balcony door. We even found it interesting at times watching this monstrosity being built. The grounds are well kept and being right on the beach was awesome. Don't be put off booking here because of construction next door. We spent 8 nights at these apartments and I could not fault a thing. The rooms, facilities and entire resort were immaculately clean, spacious and well kept. The managers and staff were very friendly and could be seen out in the resort daily ensuring the pool, spa, tennis courts and BBQ area were always clean and ready to use. The apartment had a lovely city view and had plenty of room for my family. I t was also very clean and the furniture was lovely and comfortable. I cant wait to go back !!! Good location on the first line, closely to the beach. Bus stop nearby. Light rail in 5 min walking. Spacious rooms. Friendly staff. Kitchen is fully equipped. However, pretty small pool. No room service. Needs some renovation. 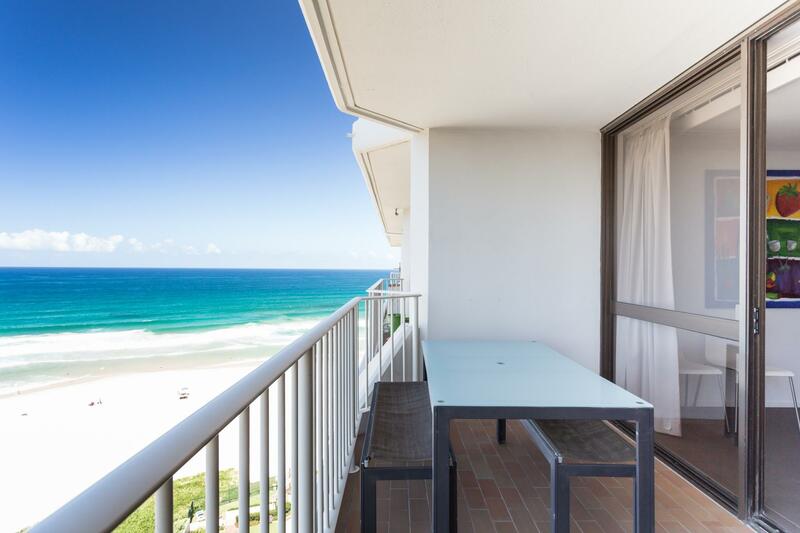 This apartment is one of the only few in Gold Coast that can boast to be right on the beach. The building is not a recent construction but the management has kept it in perfect condition and we found it to be clean and comfortable. But the lack of AC or TV in the master bedroom in a little bit of a let down. Nevertheless, we highly recommend this apartment for anyone looking for a comfortable family outing. Fantastic stay and giving a two room instead of one room might due to no single room but without additional charge. Good sea view and given a private parking lot. Fully equipped and suitable for self catering. 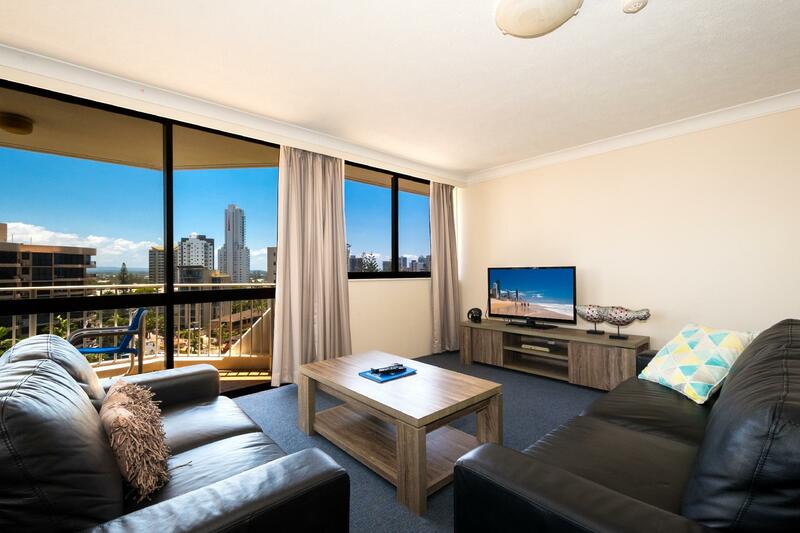 Midway between Cavill avenue and Broadbeach mall. Bus stop outside which travels between Southport and Broadbeach. Is right on the beach and has its own pool plus a tennis court. Downside is there is only one car park per apartment which makes it difficult if people in your group come from different places. Very nice to have swimming pool and spa right in front of beach. It's a bit far for small children to walk to surface paradise, otherwise nice and quiet environment. Reasonable clean, good service and price. The view is great off Level 14, except for the monstrosity being built next door, the Jewel. The apartment is in dire need of a refurb, the kitchen is very tired as is the outdoor table and chairs. No-one was available to talk to when I was checking out at 950am. Great property. Wonderful view of the ocean. Only downside is it is probably a little further from the action that I like but is a wonderful beach location. Staff were excellent. The location is right in beach front. The room had direct view of beach. 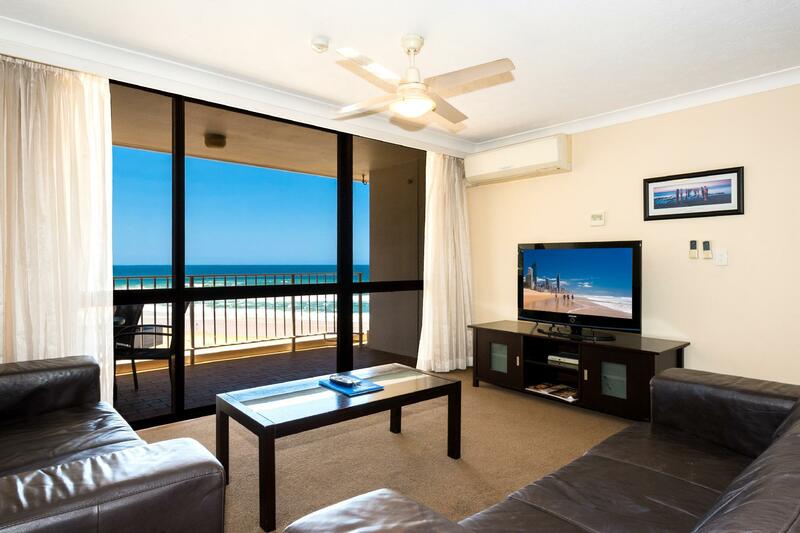 (You need to book beach front room though). The room had all facilities for a family. Spa was great relaxation specially after a full day outings to theme parks. First of all, the location was really good. Very near to bus stops and tram. The apartment is just by the beach and the scenery from the balcony is really amazing. Second, I enjoyed the apartment very much. Stayed in a 3 bedroom apartment and it was great. Very comfortable stay and sleeps at night. The living room and kitchen were very spacious and big. Rooms were also spacious with 2 toilets and bathrooms attached. Third, the staff was very friendly and helpful. Thanks to them, our stay was very pleasant. However, we didn't dare to use the washing machine as it was put in the corner of the bathroom with a dryer (I think) and some stuff on top of it. Though they do not influence the using of the washing machine, it looked dusty and so we didn't use it as we hesitated on its functions. For an apartment so big, it was odd to find the washing machine being squeezed at the corner like a small storage place. It was as if the washing machine was an old electrical stuff not used in a while. 2 bed beach front apartment (9B). Views and location were amazing. Apartment so spacious. Heated pool. Parking. Free WiFi. Just loved it. Staff friendly and helpful. Only concern windows opened fully, might be better if could only a little to keep little people well and truly safe! Highly recommend. We'll be back! Very spacious, had some troubles with the air cons, remotes and windows but other than that it was great. Have to get rid of rubbish yourself but their is a bin chute to make it easier. Very lovely view of the beach, very nice pool and heated spa. Tennis court was huge and had beach access and a kiosk to get more utilities from. Ww only stay for a night. Spend most our time at the beach & swimming pool. The hotel is in a very good location but everything is a bit old and outdated. A good paint & new furniture will give it an upgrade. My stay was comfortable. It had decent views, nice heated pool/spa. Have a couple of negatives though. First is free wifi - only to the extent that you can even log on; signal in the apartment is not strong and keeps dropping. Also, towards the evening, the maximum number of users have been reached and you can't even log on. I think this would be for the whole building, not our particular apartment. That's a very big negative - the whole wifi system needs to be upgraded to increase the number of users as well as the bandwidth. The other is cleanliness. Whilst overall ok, you can tell the blankets have stains. And the mattress of the pullout sofa bed in the living room has not been cleaned; I found a rusted bottle cap squeezed in the folds of the mattress. We was given a last minute ground floor room which we actually ask high floor.After staying we found that it was convenient to go down to the beach.Nice view of the sun rise & beaches .Since its winter there is renovation done during this time.The free wifi is quiet slow , limit to 2 user & cut off suddenly.Over all for the winter price we pay was worth every penny.